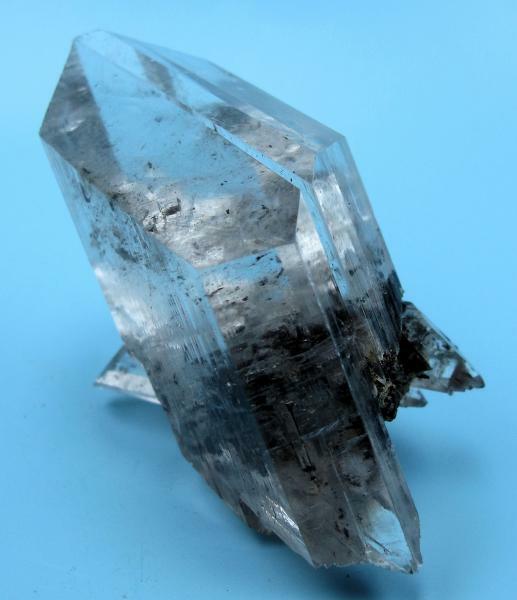 Group of undamaged, transparent gypsum crystals with carbonaceous inclusions. Overall size: 71 mm x 60 mm x 23 mm. 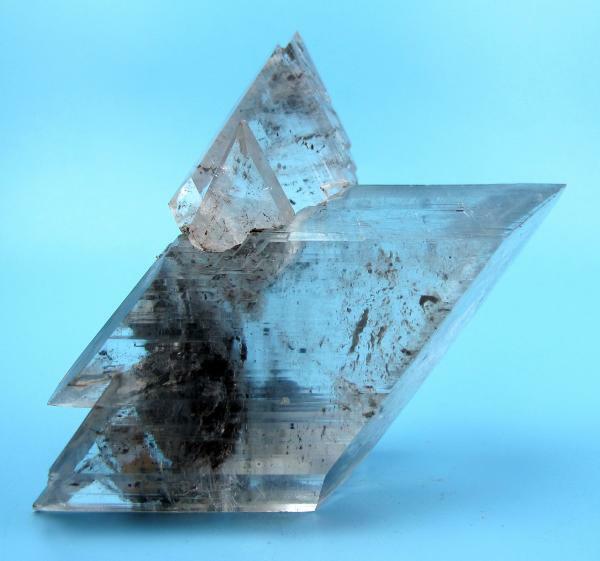 Weight: 56 g. Purchased in 1984 from Jaume Serrate. Photos copyright © Carles Millan. Reproduction allowed as long as the author's name is cited. 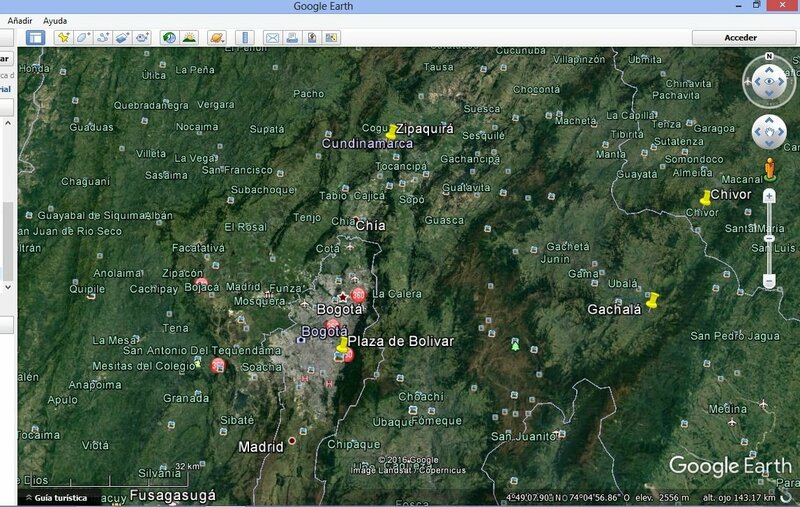 Creative Commons Attribution License - Some Rights Reserved. 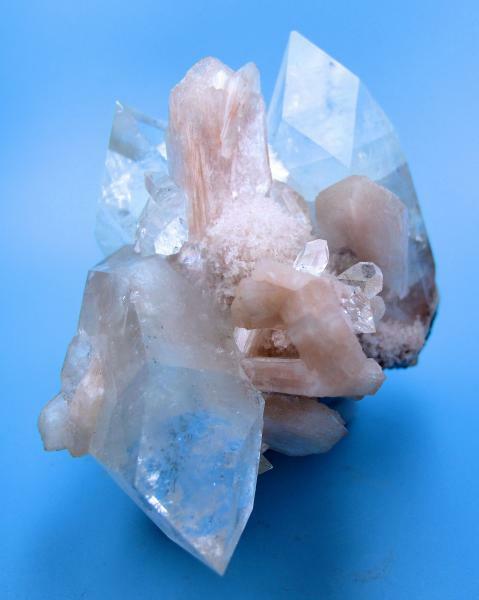 Hexagonal tabular colorless translucent crystals of calcite to 12 mm in size forming a 55 mm x 32 mm x 18 mm cluster. Weight: 16 g. Undamaged. Ex Gene Tribbey collection. This specimen is no longer in my collection. A little calcite scorpion! Way cool, Carles!!! Be careful, it might sting you!! 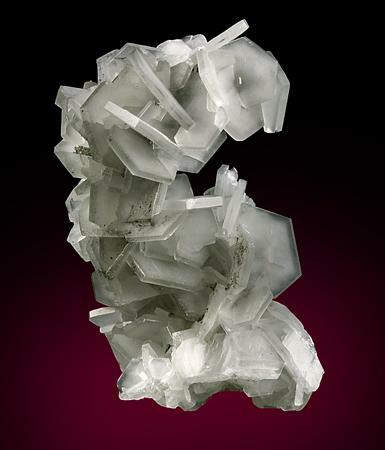 Scorpion calcite - what an incredible piece. Another great specimen Carles! And an incredible price too. According to my records, the Arizonian Benjy Kuehling purchased it in Norway in 1995 for $15. And it has changed hands several times since. Thanks again, Tracy, for your comments! Benjy is actually from Ouray, Colorado. 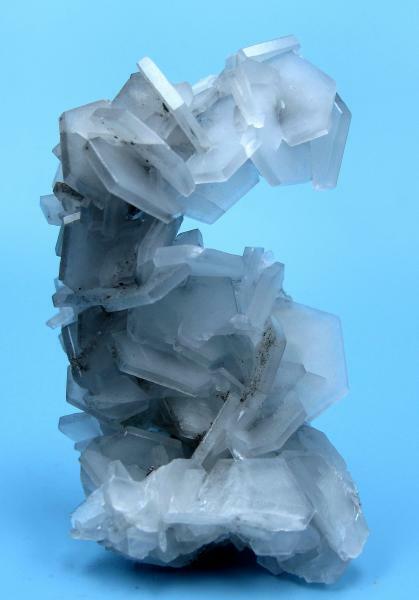 Fabulous calcite! I looked for him at Google and the first find said he was based in Arizona. But there are many others that place him at Colorado. Excuse me. You must be right. 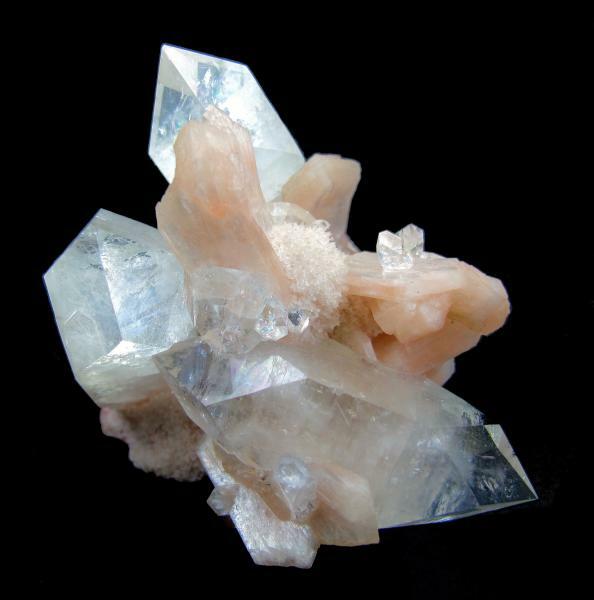 Benjy is a very close friend of mine and he has had a mineral shop in Ouray as long as I have known him. I visited him there a few years ago and had the distinct privilege of going mineral collecting with him. He is one of the best collectors and has a wonderful personal collection. Anyone planning to visit Colorado must make a point of trying to see him. Someone has just suggested to me that Benjy has recently retired to Arizona. This may well be true and so Carles placing him in Arizona may be correct after all. John, blame it to Google, that mentions both states for Benjy, Arizona and Colorado. With the very good assistance of Marie Huizing I have learned that Benjy Kuehling and his wife now spend their winters in Mesa, Arizona, but the rest of the year they are in Colorado. So it sounds like they don't love the cold weather!! 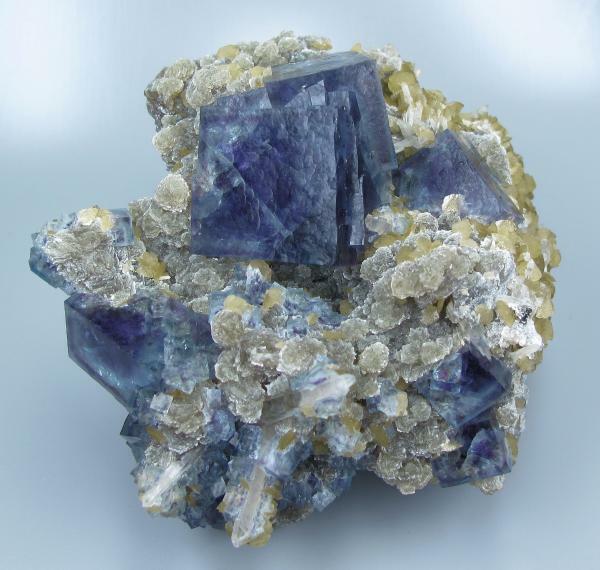 Dark blue-purple fluorite cubes and small discoidal brown siderite crystals on botryoidal gray-green muscovite with several quartz crystals. Overall size: 78 mm x 70 mm x 40 mm. Yaogangxian Mine, Yizhang, Chenzhou, Hunan, China. 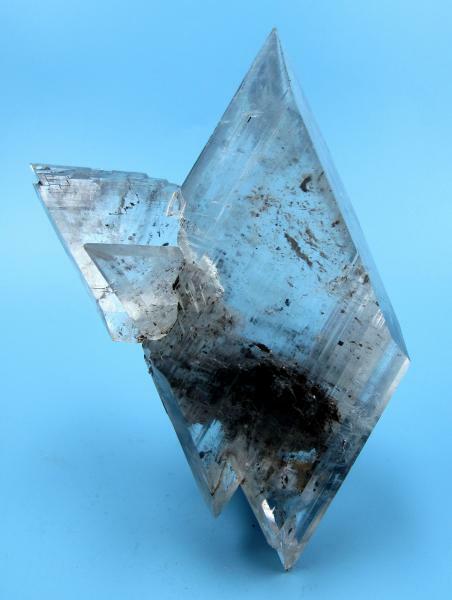 The actual fluorite color may be slightly darker, depending on the light source, the camera used to take the photo and the computer monitor that displays it. 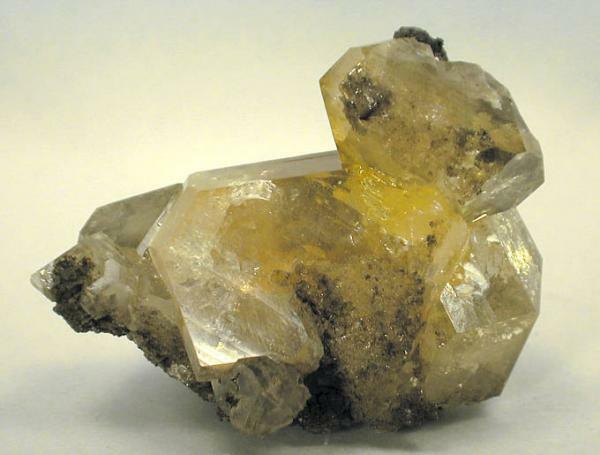 This is a golden-yellow non typical complex anglesite crystal. 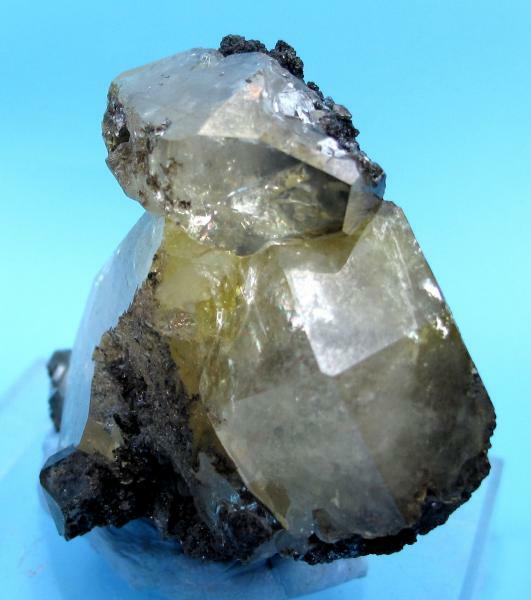 A floater with some parts covered by galena. Overall size: 55 mm x 45 mm. Extracted in February 1995. 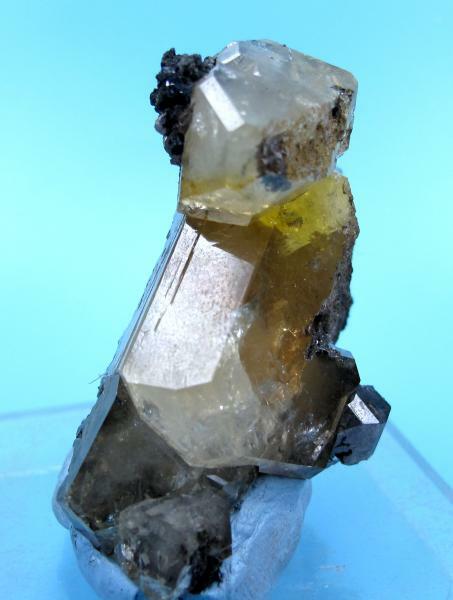 Puit IX, Toussit mine, Oujda, Morocco. 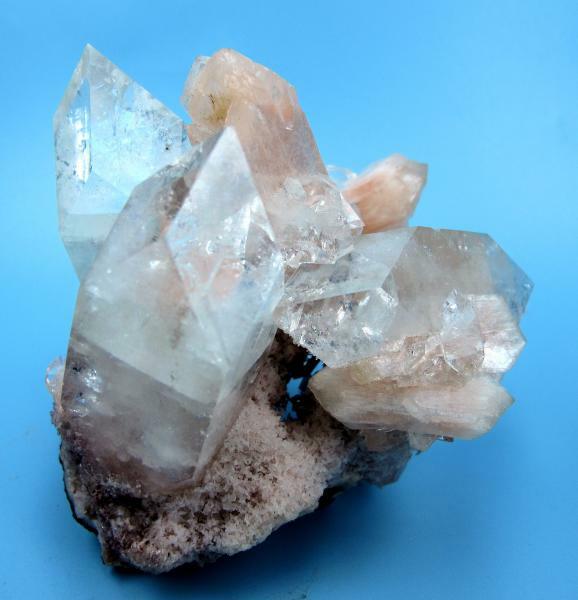 A common combination with very lustrous gemmy apophyllite crystals on stilbite matrix. Undamaged. 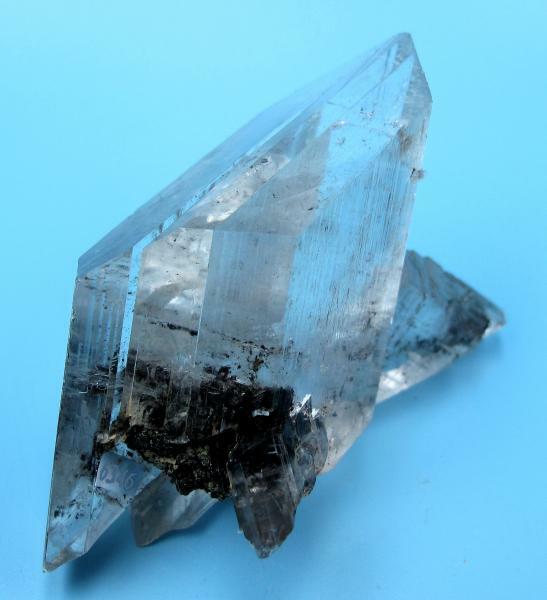 The doubly-terminated apophyllite crystal is 50 mm long. 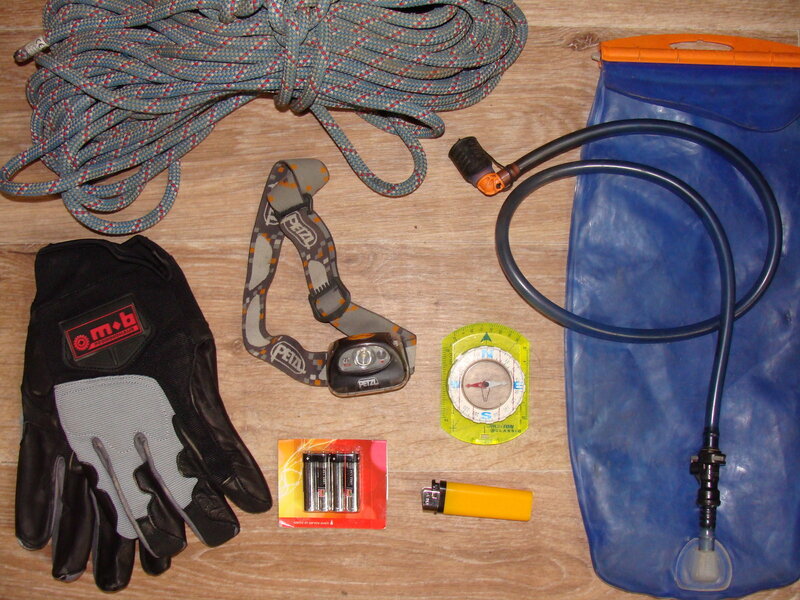 Overall size: 76 mm x 63 mm x 63 mm. Really though, thank you for showing these phots of your minerals. A couple of my favorites are the tabular Barytes from Peru, the octahedral Pyrites from Peru, and the hemispherical Calcite from Romania. I have my display cabinets like yours, I do not believe they are crowded. 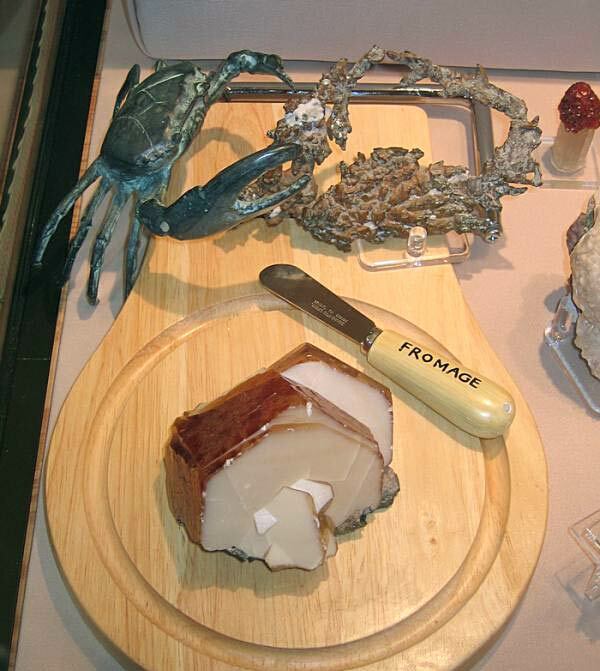 As long as you can see the specimens and labels they are fine. It is a practical way to kill two birds with one stone; both display and storage, when space is at a premium. I'm really grateful for your comments. My display cabinets were not built strong enough to support as much weight as they do. So I fear some day they could collapse one floor at a time the same way the WTC did on 11/9.